The key word in that title is collaborative. 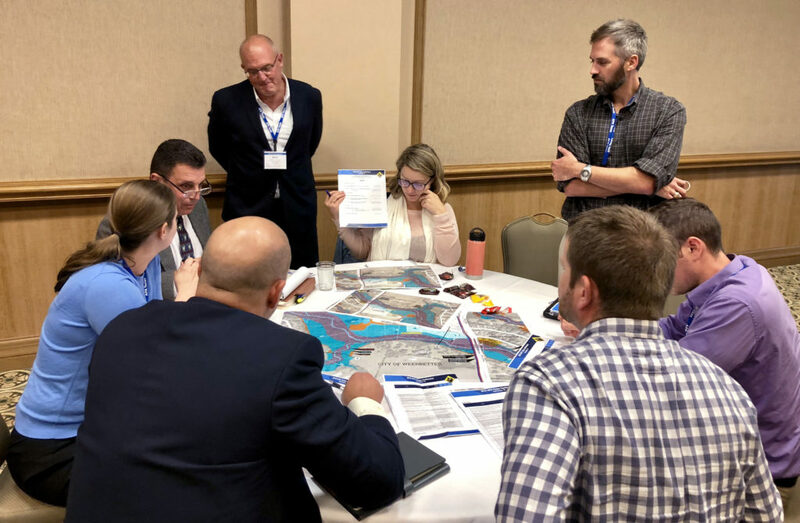 Collaboration certainly is not a new concept, but it can be challenging when planners, floodplain managers, public works professionals and elected officials each own responsibility to prepare their communities to be more resilient in the face of flood risk. There are many obstacles that come into play, and sometimes opportunities to collaborate for the greater good aren’t easily recognized by all parties. Regional experts Edith Marvin, PE, and Tamara Cook, AICP, ISSP-SA, LEED Green Associate, from the North Central Texas Council of Governments’ Environment and Development department recently joined Halff Vice President Jessica Baker, PE, CFM, PMP, and Halff Director of Planning Matt Bucchin, AICP, LEED Green Associate, for a roundtable conversation about collaboration. Edith, who has more than 25 years of engineering experience, directs the Environment and Development department. Tamara is a senior program manager who has worked at NCTCOG for 15 years. Meanwhile, Jessica is a past president for the Texas Floodplain Management Association (TFMA). Matt chairs the American Planning Association’s Sustainable Communities Division. 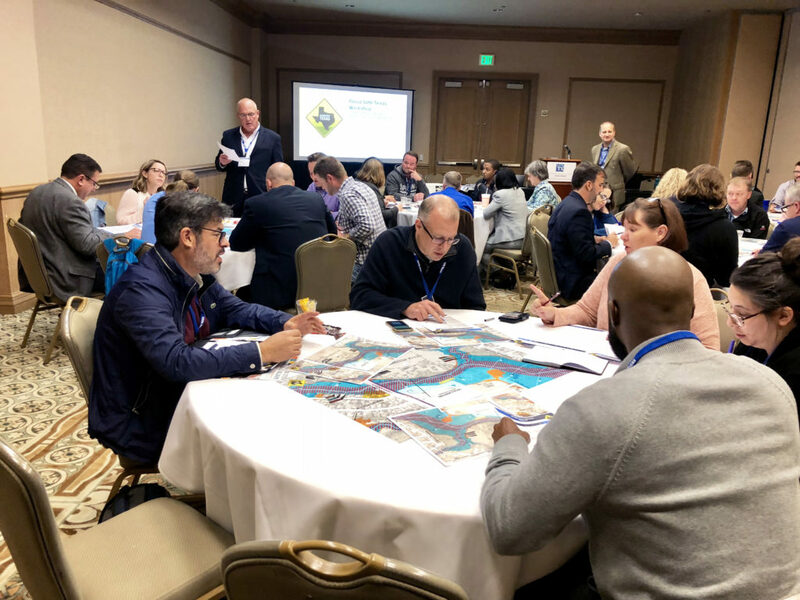 Before we examine the hurdles that prevent collaboration from occurring, why is collaboration so important for flood risk, and what are the benefits? 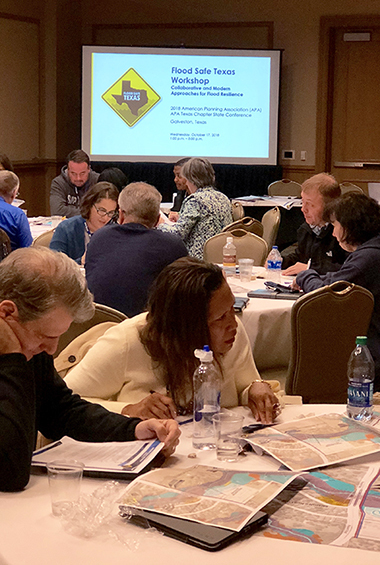 Flood Safe Texas workshop participants analyze a scenario presented to the group. 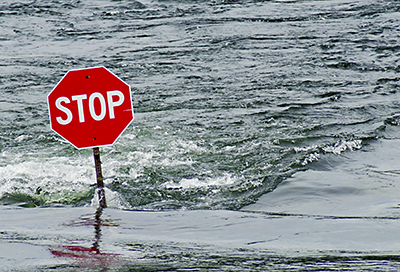 What are some of the obstacles you encounter when it comes to collaboration for flood risk? Edith: “When you’re working for a local government, in particular, having your area of responsibility defined is very important in order not to step on each other’s toes—just because you’re all working with the same tax dollars, in theory, toward the same goal. So it’s important to define your area of responsibility, and that can actually be an obstacle to collaboration because you’re trying to stay in your lane. Unless you feel like you have that encouragement from others sitting at the table with you, you may be hesitant to get outside of your area of responsibility. “Another thought I had was simply on other priorities. An obstacle to collaboration can be that you’re too busy with your other priorities and responsibilities to stop and focus on something. A shared understanding of flood risk problems is an important piece to the puzzle in any community. Is it difficult to recognize ways to collaborate? Why would we fail? 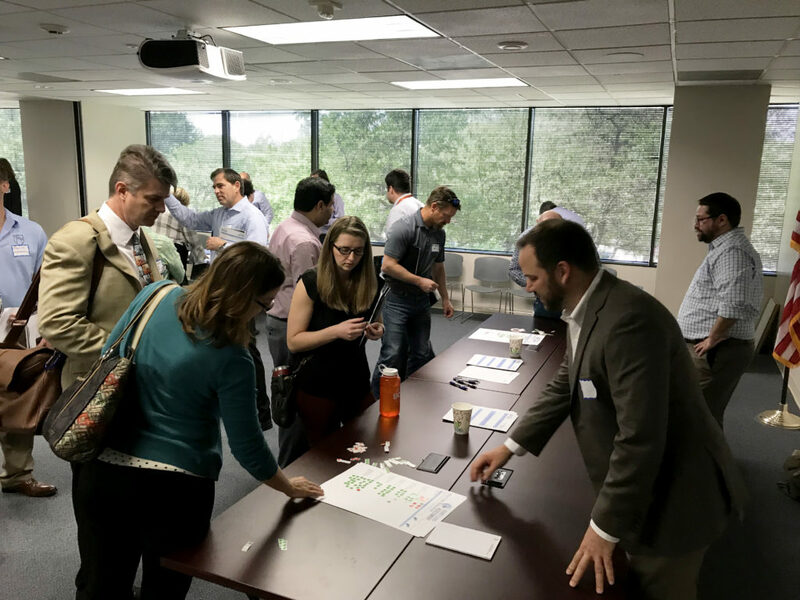 The Flood Safe Texas workshop taught the importance of planners, engineers and elected officials working together to solve issues. What best practices or outcomes from the workshop can be shared? Write to HalffResilience@Halff.com for more information. Contact Edith Marvin at emarvin@nctcog or Tamara Cook at tcook@nctcog.